Join the community and experience an evening of Christmas spirit, at the Williamson County Symphony Orchestra at St. Margaret Mary Catholic Church, this Friday, December 16 at 7:30 PM. One of our very own teachers, Ms. Sykes is an oboist for the Williamson County Symphony Orchestra, and joined the Orchestra in August 2016. Ms. Sykes has played the oboe for 12 years and found this opportunity to continue her musical skill with the Symphony Orchestra. Ms. Sykes enjoys playing with a symphony orchestra because there are many solos and many music arrangements that feature the oboe. “I get to play with musicians who are playing because they have a passion for music. The director, Doc, is an amazing person who constantly challenges me and the rest of the orchestra to grow [into better] musicians." Bring your Christmas spirit this weekend and listen to a great selection of Christmas classics like Trepak (from the Nutcracker), Sleigh Ride, a Trans-Siberian Orchestra piece, and many more! Visit the webpage to view more concerts by the Williamson County Symphony Orchestra. 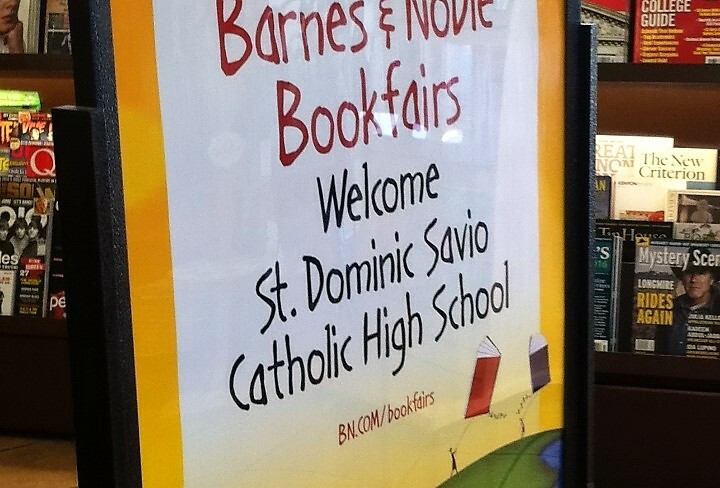 On Saturday, November 12th, St. Dominic Savio Catholic High School Library held its 8th annual bookfair at the Barnes and Noble-The Homestead near Lakeline Mall. The online Book Fair continued through Thursday of the following week. Thanks to everyone’s participation in both the in-store and online Book Fairs as well as food and beverages at the in-store Starbucks, the Savio Library was able to make $55.27! With these proceeds, we can buy more quality books to build up our Library as well as buy books requested on teachers’ Wish Lists. Our books are ordered and will be arriving soon so be sure to check out and read our new books! 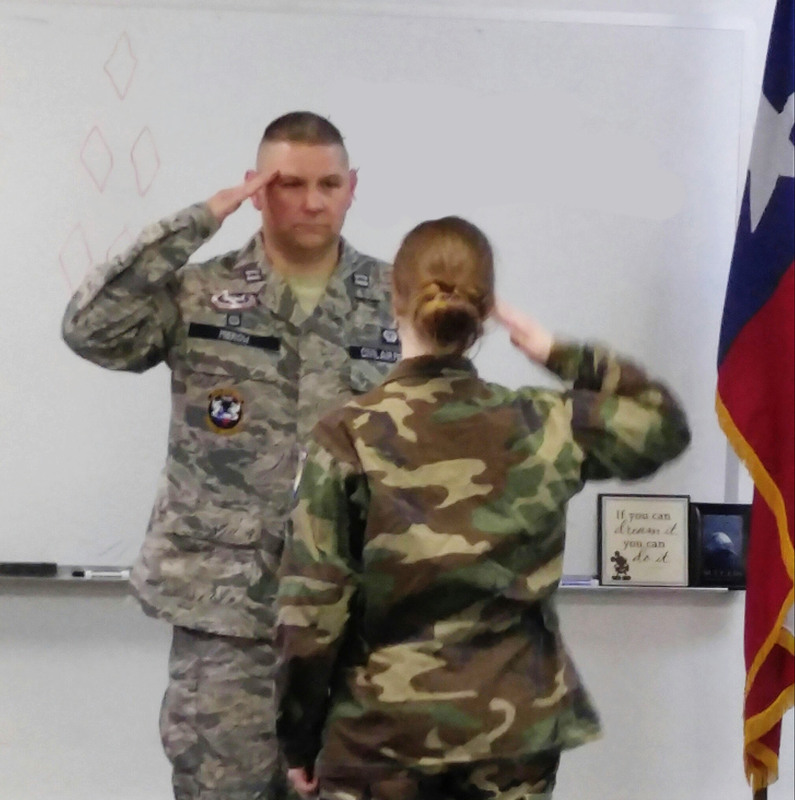 Savio Junior, Blaise De Oliveira is a member of the Civil Air Patrol – Pegasus Composite Squadron in Austin, TX. This month, De Oliveira passed her first achievement test and is recognized as a Cadet Airman in the Civil Air Patrol. To become a Cadet Airman, De Oliveira was required to pass tests in both fitness and leadership. The Civil Air Patrol is a congressionally chartered, federally supported non-profit corporation that serves as the official civilian auxiliary of the United States Air Force. Congratulations to Blaise De Oliveira for this recognition and honor as a Cadet Airman. Last Thursday, the St. Dominic Savio chapter of the National Honor Society volunteered at the Travis County Brown Santa, where they wrapped gifts for 19 families. The students worked together in groups to individually wrap presents for each child to ensure that they had a magical Christmas this year. When asked about this service experience, Connor Neill, this year's NHS president, said, "I had so much fun wrapping presents! It really was a team effort, if it weren't for the work of all the members of NHS we wouldn't have been able to make as big of an impact as we did." Click HERE if you would like to know more about the Travis County Sheriff's Brown Santa program. All-State is a post-season award presented by TAPPS (Texas Association of Private and Parochial Schools) in all divisions of every sport. 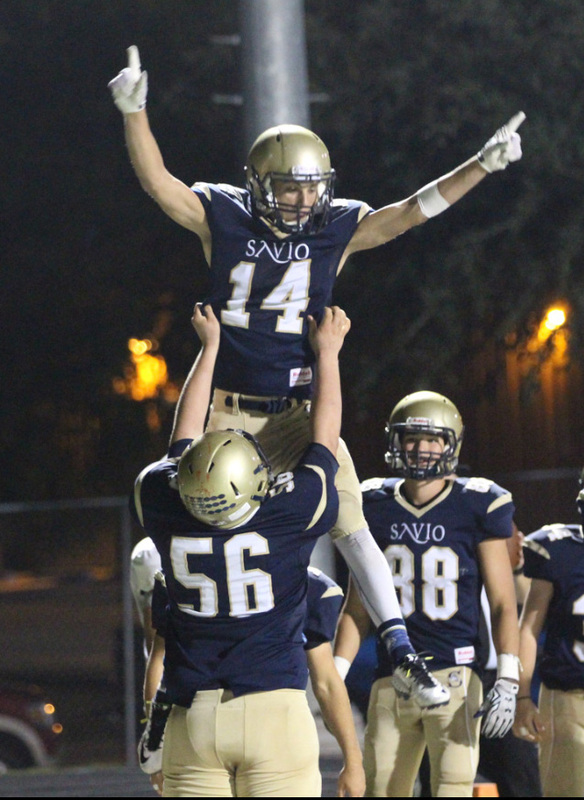 TAPPS is the state athletic association of private and parochial schools that Savio belongs to. Coaches from every TAPPS school nominate their individual athletes from their teams that they believe deserve recognition. This last Tuesday, TAPPS held an All-State meeting allowing coaches to select certain players to first team, second team, or honorable mention based on their season performances and season-ending statistics. 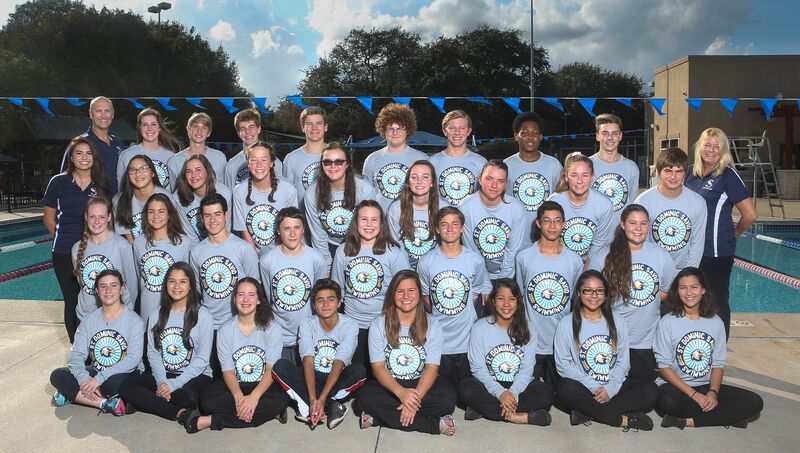 The boys and girls swim teams wrapped up their final pre-championship swim meet of 2016 overcoming some administrative chaos with event entries and a shortage of sleep with a dominating win. Now it is back to work in preparation for the championship season beginning with district January 11. Throughout the month of November, students, faculty, and staff at Savio helped raise awareness for cancer by growing beards and raising over $200 for the Prevent Cancer Foundation. Students were permitted to grow facial hair throughout the month and one student, senior Brandon Rodi, was crowned as the student with the Best Beard. Brandon is pictured here (on right) with runners up, senior Nick Isakson (left) and senior Nathan Carroll (center). Special thanks go to seniors Aaron Mink, Brandon Rodi, Cameron Henry, and Mark Simmons as they displayed wonderful servant leadership in organizing this event for our school and as they selflessly helped our school live out the Gospel values. We look forward to more beards and more cancer fighting power next November! A Cian McGetrick pass across the goal mouth to Nathan French was deflected into the goal 17 minutes into the first half to give Savio the only goal of the game. Savio held on to a 1-0 victory with some great saves by Goalie Cory Cady, and nice defensive work by Chris Reeve, Mitch Romero, and Preston Noonan. The win improves Savio's Boys Soccer record to 3-0, and is also Savio soccer's first win over St. Stephen's.